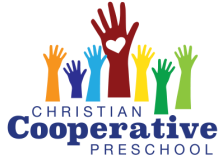 Register for Christian cooperative preschool here! To register for the Appleton Area School District 4K program (M-Th 12:00-3:06pm), please contact AASD HERE or contact Suzette Preston at: prestonsuzette@aasd.k12.wi.us. Be sure to indicate CCP as your school of preference! 1. PRINT ALL forms below. If you would like to apply for a scholarship, please fill out the application below and return with your registration materials.